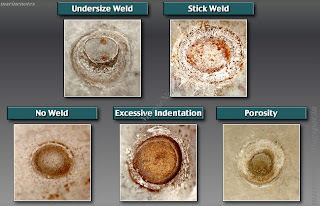 Resistance welding is a process in which two or more parts are welded by the coordinated and regulated use of heat and pressure. 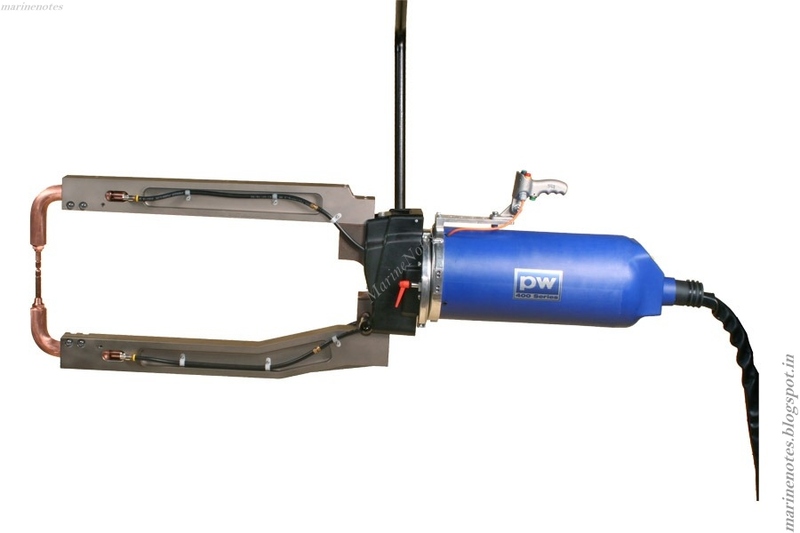 The heat in the resistance welding process is generated by the resistance offered by the work pieces to the flow of low voltage high density electric current. 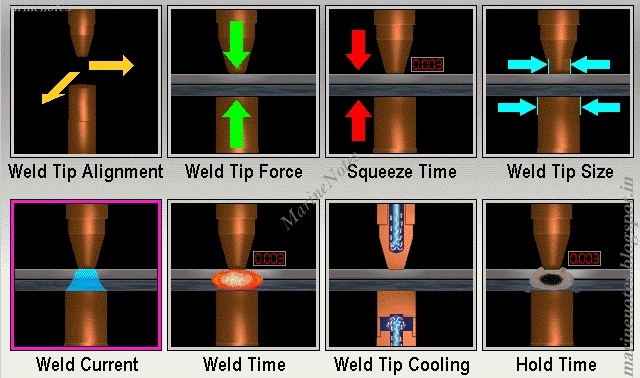 The pressure for welding is applied through the contacting electrodes. It may be obtained by mechanical means, springs, air pressure or hydraulically with the help of a pressure cylinder and piston arrangement. The pressure generally used range from 30 to 55 MPa. The high density current is produced by using transformer in the welding machine circuit. 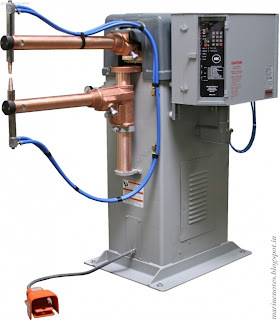 The transformer reduces the voltage to around 4 to 12 volts and raises the amperage to produce a current density of 45 to 52 VA / mm2 of the area to be welded based on a time of around 10 seconds. AC current has been found to be most convenient for resistance welding because it is possible to obtain any desired combination of current and voltage by using suitable transformer with different settings. Sometime in the year 1885, Professor Thompson invented a process called electric resistance welding. He discovered that to weld metals together, one could fire an electric current through the metals while they were tightly clamped together. When the current passed through the metals, it would create such a high heat that the metals would melt and run together and a weld would be made. K – A correction factor to account for the loss of heat due to radiation, conduction and convection from the electrodes and work pieces. The current flowing to develop the joint determines the rate of heat generation at the joint. 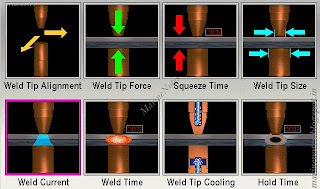 High welding currents are required in resistance welding to develop the necessary heat as the ohmic resistance of any resistance welded joint is low. The pressure is applied and built up to the desired value over a period of time. After the proper pressure value has been attained, current of required magnitude is passed for pre-set period of time. Further the interface resistance between upper sheet and lower electrode and lower sheet are kept low by proper contact pressure. Heat is rapidly generated at this interface where it is trapped and slowly dissipated. In a properly controlled weld the welding heat is first generated at pin points on sheet interfaces and then subsequently a weld nugget is formed gradually. 2. Operation is quite fast, practically all metals can be resistance welded.